I have watched the first episode of Game of Thrones Season 8 twice, but I’m not going to spoil anything for people who haven’t seen it yet. 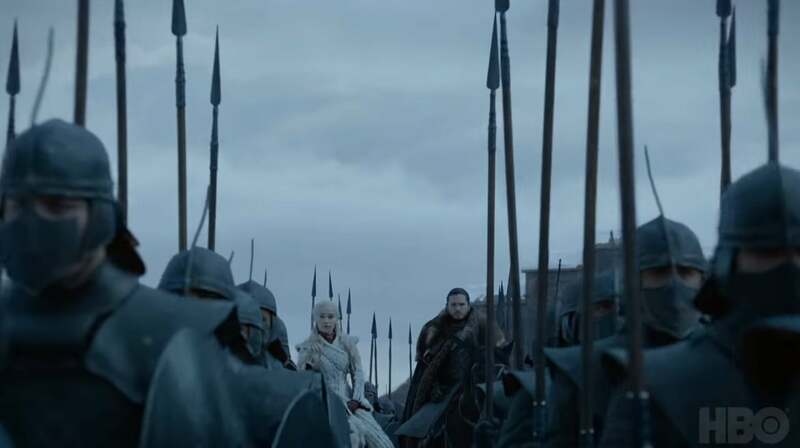 After almost two years of wait, HBO aired the first episode at 9 PM Eastern Time on Sunday, April 14 in the United States. Episode 1 of Season 8 was made simultaneously available in many countries around the world. It means the show premiered at ungodly hours (late night or early morning) in many countries. So, a lot of people couldn’t watch it the moment it premiered. Fortunately, you have tons of options to watch online or download the episode for later viewing. Here we’re going to see how you can watch the first episode and all the upcoming episodes in your country. While the first episode was mostly about reunions, the upcoming episodes will answer a lot of questions including who is going to sit on the Iron Throne. If you missed the season premiere and you haven’t subscribed to the right service, you might be tempted to download the Episode 1 from torrent websites or streaming it for free on third-party sites. Let me warn you that the Internet is flooded with hundreds of illicit torrent and streaming versions of the show and its content. They could contain malware or another virus that exposes your device to cyber attacks. Hackers could download malicious files on your computer and steal your personal information and banking details later. The first episode of the final season aired in the US on Sunday, April 14 at 9 PM ET. Game of Thrones is produced by HBO. If you have a cable TV connection, you can watch it on HBO. If you have cut the cord, you can subscribe to HBO Now for $15 per month and watch it via HBO Go. If you have subscribed to Amazon Prime Video, Hulu, or Roku, you will have to shell out an extra $15 per month on top of your current subscription to watch the final season of Game of Thrones. The Episode 1 premiered in the UK at 2 AM local Time on Monday on Sky Atlantic and Now TV. If you fell asleep by the time it began airing, you can catch it up on Now TV. On Sky Atlantic, it will air again at 9 PM local time on Monday, April 15. The Now TV subscription costs £8 per month or £18 for three months and there is a 7-day free trial. It means you can watch the first episode for free. Hotstar is HBO’s official streaming partner in India for Game of Thrones. Streaming of the first episode started at 6:30 AM IST on April 15. You have to subscribe to Hotstar Premium to be able to watch the show. The Premium subscription costs INR 299 per month or INR 999 per year. Star World will air the first episode at 10:30 AM local time on Tuesday, April 16 but it will be censored. The first episode of Season 8 aired in Canada on Sunday on Bell Media’s Crave, which has acquired the rights to broadcast the show in the country. You can subscribe to Crave by paying C$20 per month. You can catch up the first episode and watch the upcoming episodes when they go live. If you live in Australia and want to catch up the first episode, you have to sign up for Foxtel’s cable service or subscribe to its online streaming service Foxtel Now. The first episode is available to watch on the streaming service, which costs A$25 per month and offers 10-day free trial. All the future episodes will be aired on Monday at 11 AM local time in Australia. If you have subscribed to SoHo, you can enjoy the Game of Thrones Season 8 right there. TV packages including SoHo start at NZ$24.91 per month. The Neon TV service is also streaming Season 8. It costs NZ$12 per month. People living in Germany can catch up to Game of Thrones Season 8 on Sky, which costs five euros per month in the country. Ireland is where much of the Game of Thrones was shot. Now TV has acquired streaming rights for Game of Thrones in the country. You have to shell out 15 euros per month to watch the show. If you live in Norway, you can watch the latest and upcoming episodes of Game of Thrones on HBO Nordic, which costs 99Kr per month. Game of Thrones fans in the UAE can watch the first episodes and all the episodes to come on Wavo. Each upcoming episode will go live at 5 AM local time on Monday. The Wavo subscription costs just AED11 per month. Winter is finally here! The Night King is marching south. Go enjoy the show.